It's a science which deals with everything from new designs of spacecraft and ‘lab on a chip’ devices, to drug discovery and oil & gas exploration. And it's also a science which brings Professor Yonghao Zhang, the Director of the James Weir Fluids Laboratory (JWFL) in the University of Strathclyde, into contact with all sorts of people, from engineers and physicists to chemists and product designers. ‘Fundamental flow physics’ or fluid dynamics is relevant to virtually all forms of life and physical functions, underpinning new developments in energy, sustainability, nanotechnology, health and transport – and the science is being revolutionised thanks to recent breakthroughs in computing. * open source: software that is free to download and to modify, and which often attracts a community of enthusiastic software developers who share their code modifications. As Zhang explains, this means researchers can “visualise what you can’t see experimentally.” Two decades ago, the best computers available might have been good enough for product design – for example, to design new petrochemical facilities. But now they work at molecular and hydrodynamic levels and design new hardware to send into space, or simulate the “chaos” of turbulence flow along with particles, so engineers can improve new pipeline design or extend the life of existing facilities by analysing where the strengths and weaknesses are in the network. 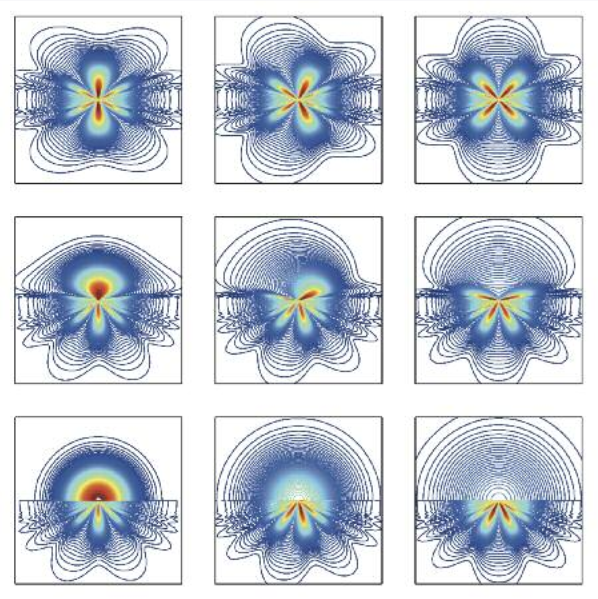 “We are no longer working simply with empirical formulae but with 3D direct numerical simulations, which help us understand chaotic interactions,” says Zhang. In his current work at JWFL, Zhang is tackling more and more complicated processes in fluid dynamics, including simulation of corrosion and erosion, porous media studies and micro droplet technology. This is a natural development for someone who was not content to spend his life in industry and wanted to do more ground-breaking research. In industry, he solved existing problems (e.g. flow meter testing), but now his work enables the development of future solutions. Zhang also see his current work as part of the trend towards more computational science, rather than experimental science, making the invisible visible through simulation. His work also involves more parameters than ever before – for example, analysing rarefied gas dynamics using highly complex mathematical formulas, or developing new methods to simulate realistic molecular models. But even though he deals with the future of fluid dynamics and “practical solutions for the engineers of the future,” Zhang never loses sight of the need for practical solutions, to solve the technological – and economic – problems facing the world today. Another theme which interests Zhang is how to develop new tools to “bridge the gap between engineering and science,” to solve the complex problems of fluid dynamics “with multiple underlying physical mechanics and multiple spatial and temporal scales,” taking advantage of sophisticated simulation tools rather than depending on trial and error to develop new systems and products. One good example is his work in micro droplet technology, which enables the development of new biomedical products, such as the ‘droplets on a chip’ devices, which monitor and diagnose various health functions. Instead of trying out a range of different designs in the real world, the researchers can simulate how the designs will perform – thus saving time and money and improving the final design. Similarly, Zhang explains, fluid dynamics are an integral aspect of many technologies, from spacecraft to oil and gas pipelines and shale gas extraction – all of which are dealt with by researchers at JWFL. What has accelerated progress in the science of fluid dynamics more than anything else in the last few years is easier access to open-source programs, according to Zhang. This new environment provides more accessible ready-to-implement tools and means that lots of work that used to be a time-consuming “novelty” for scientists has now become much more routine, enabling the developers to focus on more complex systems and make better use of their available resources. What Zhang hopes to achieve in his career is the development of new types of tools which will enable future engineers to test, design and optimise the next generation of fluids technology. “The ultimate goal,” he explains, “is to make the new technology more flexible as well as much more practical, and reshape the knowledge base.” He also sees this trend reflected in the way that science is taught nowadays, exposing students of “conventional” subjects such as physics or mechanical engineering to less conventional subjects such as molecular fluid dynamics – as well as computational science. Engineers need to learn more about physics, and physicists may need to do more engineering research. For example, knowing more about phenomena such as rarefaction can have a big impact on the development of new industrial materials such as aerogels for high-performance heat insulation, says Zhang. When it comes to porous media, Zhang is developing sophisticated models to understand what happens with shale oil and shale gas extraction – another basic example of fluid dynamics. Without a proper understanding of the flow of the oil or the gas through the rock, it is hard to predict the flow in the reservoir as a whole. Much more complex factors come into play in the flow model, and better understanding of the process will not only help to predict the rate of extraction but also improve the efficiency and economics. And the more the model gets down to the nano scale, the better it is. Corrosion and erosion can also be analysed “more scientifically” thanks to recent advances in hardware and software which enable Zhang and colleagues to simulate how particles in oil and gas impact the pipeline. It is easy to understand how a pure liquid will flow through a pipeline, but harder to predict how collisions caused by particles (impurities such as sand) will impact the interior surface of pipes. Zhang’s software can study these collisions in detail, including speed and “angle of attack,” as well as rotational impact. “This helps to visualise something very hard to observe in the real world,” says Zhang, “using statistical models to predict the impact on specific locations and also predict where the impact will cause the most damage.” By predicting the rotation and the impact of the particles, the corrosion and erosion model not only helps the design of new pipelines but also helps extend the lifespan of existing pipes. “The computers help us simulate the interaction of particles on a fine scale,” Zhang adds – so we can “see” what happens in the pipeline; just as microscopes and telescopes first helped us see the micro and the macro worlds. The new research on micro droplets is already helping improve the design of the “lab on a chip” by predicting the behaviour of the fluids which transport them, so researchers can control flow and send the droplets to particular locations to perform required functions. The droplet size can also be controlled so that the miniaturised device can operate without any moving components, producing a smaller and more integrated design. As he describes these recent breakthroughs, Zhang declares that the science of fluid dynamics has the potential to enable unforeseeable future technology, thanks to turbo charging by computers. “The ability to simulate fluid dynamics is an enabling technology which will help shape the world of tomorrow,” he concludes. The chemical/biochemical manipulation of microscopic droplets is a key process in the chemical, pharmaceutical and food industries. It also plays a key role in research areas such as DNA analysis, protein crystallisation and cell encapsulation. Pore-scale studies analyse how fluids flow in porous media (e.g. rocks) and predict the flow properties of porous media – for example, unconventional gas flows in ultra-tight porous media. One major application is to improve the low recovery rate of shale gas by understanding gas flow dynamics in nano/micro pores (very small holes in rocks). The research group at the James Weir Fluids Laboratory aims to build on its recent advances in modelling rarefied gas flows by gaining fresh insights into unconventional gas transport mechanisms in ultra-tight porous media, without extracting pore networks – i.e. by simulation rather than by experimentation. Fluid dynamics is the science of fluids (liquids and gases) in motion, including aerodynamics (the study of air and other gases in motion) and hydrodynamics (the study of liquids in motion), calculating properties such as flow velocity, pressure, density and temperature. Applications include helping aircraft design, measuring the flow rate of oil and gas through pipelines, predicting weather patterns, traffic engineering, understanding nebulae and even modelling the detonation of nuclear weapons.